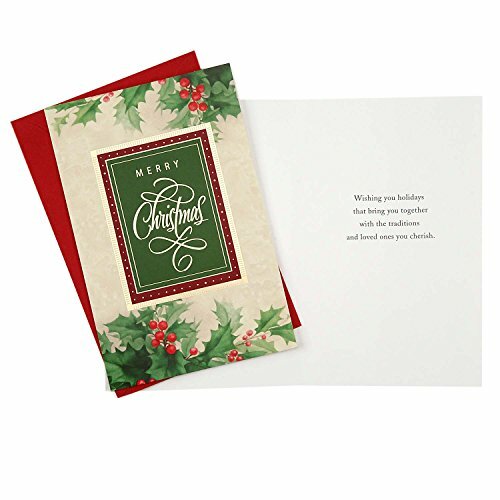 Boxed cards of Christmas greetings featuring a warm holiday holly design on the Christmas card cover with satin gold foil. 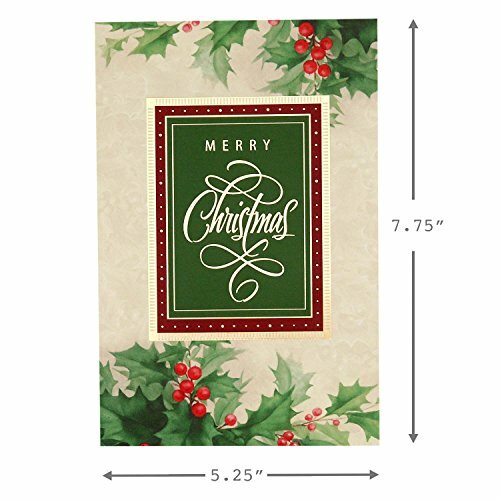 Printed on high quality paper stock, these boxed Christmas cards are perfect for anyone on your holiday greeting card list. 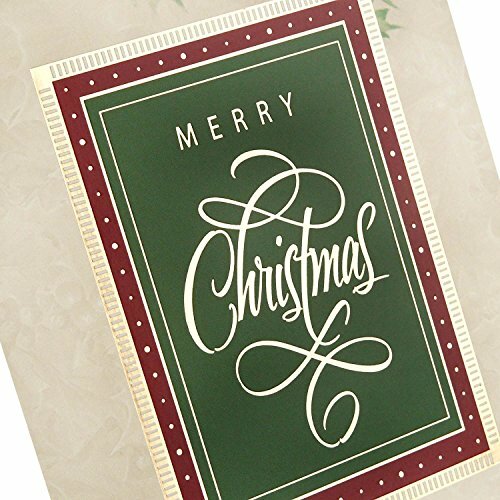 Inside Message: Wishing you holidays that bring you together with the traditions and loved ones you cherish. 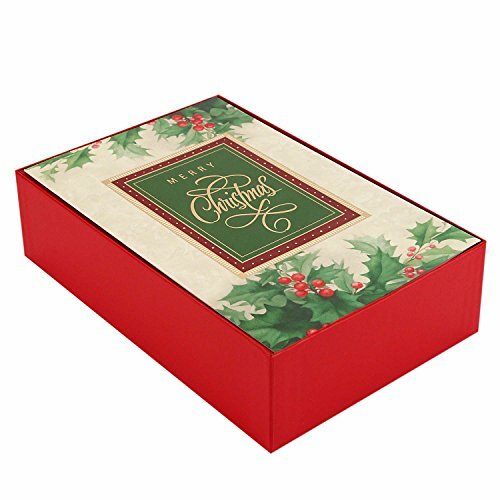 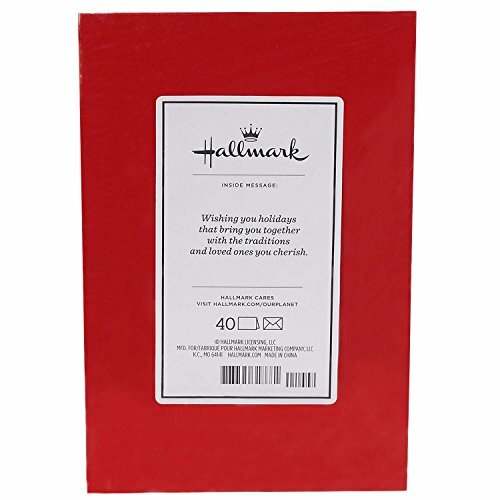 The boxed card set includes 40 greeting cards/40 envelopes. 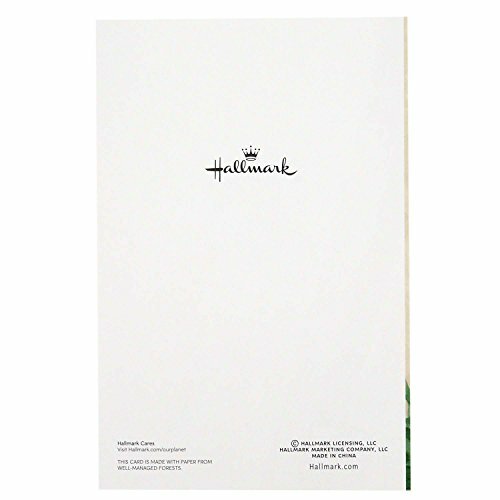 Card size: 5.25 inches wide by 7.75 inches long.